The Director of Marketing is responsible for the overall stewardship, strategy, and management of the Luther Burbank Memorial Foundation’s (dba Luther Burbank Center for the Arts) brand identity as a community-based, non-profit performing arts center committed to enriching, educating and entertaining the people of California’s North Bay region and beyond. The Director is responsible for the development, management and execution of marketing and public relations strategies that help build and increase audiences and ticket sales, organizational awareness in the community, rental clients, and members/donors for the Center. The position works collaboratively with the board and staff leadership of the Programming and Rentals, Education and Community Engagement, Development, Operations and Finance departments to help support and achieve the organization ‘s earned and contributed income goals. The Director performs the following duties personally or oversees their execution through the department’s staff. • In consultation with the President & CEO, board committee(s), and staff leadership, develops annual and long-range marketing and public relations plans to achieve the earned and contributed income goals (totaling approximately $11 million), as well as the consistent brand image, of the Center. • Develops and oversees execution of detailed plans, budgets, schedules and purchases for multifaceted promotional campaigns, which include, but are not limited to, print and electronic advertising, publications, promotional materials, displays, direct mail, e-mail, public relations, personal sales, the website, and social media. • Plans and implements strategies to increase loyalty in a single-ticket driven environment. • Oversees the development and execution of all public relations strategies and functions with local, regional, and national media to ensure maximum visibility and coverage for the Center, and may serve as a press spokesperson, as appropriate. • Develops and implements strategies to reach new and under-served audiences, members, and donors; and to cultivate existing audiences, members, and donors towards a deeper involvement with the Center. • Serves as the lead staff member responsible for market research and analysis, and in planning for, ensuring, and measuring patron satisfaction. • Works with other staff leadership to provide management support in long-range planning, strategic initiatives, and on-going analysis and evaluation of major decisions concerning the organization. • Manages a department of three direct reports: Associate Director of Marketing and Graphics Coordinator. Currently, the Center employs an external public relations consulting firm and a social media consultant with oversight by this position. Minimum of a Bachelor’s degree (B.A.) from a four-year college or university or equivalent experience; Master’s degree a plus; minimum seven (7) years related experience in marketing and public relations in the non-profit performing arts and/or entertainment field. Relevant experience in marketing planning and current marketing strategies, especially as they relate to non-profits and the performing arts. Familiarity with artists and the art forms of theater, dance, and music—from a variety of cultures and genres—is a plus. • Knowledge of the arts and entertainment industries, and arts and entertainment marketing techniques: print and broadcast media including its needs and formats, direct-mail marketing, single-ticket and subscription campaigns, social media and web-based advertising. • Involvement with contributed revenue generation. • Ability to evaluate marketing trends and analyses. Analytical skills to interpret data and prepare conclusions and recommendations based upon information collected. • Knowledge of financial management to allocate resources, prepare and manage marketing budgets, analyze financial data, and project income. • Ability to manage complex strategic plans and programs, and to work effectively under tight deadlines. • Requires excellent organizational and time management skills, and careful attention to detail. • Excellent interpersonal, diplomatic and communication skills; ability to articulate ideas clearly and concisely, in both written and oral format. Excellent writing and editing skills. • Ability to attract, manage, motivate, and retain top talent. • Knowledge of or experience in graphic design and page layout computer programs, and working with designers and printing firms to see jobs taken from conception to final product. • Ability to develop “grassroots” contacts among a broad range of constituencies. • Working knowledge of Tessitura or similar database system is desired. • Enhanced revenue from increased audiences and ticket sales, rental customers, and members/donors. • Deeper engagement of current patrons as measured by increases in the percentage of multiple event ticket-buyers, higher average memberships/donations, higher renewal rates, and growth of repeat rental clients from season to season. • Increased media attention for the non-profit mission of the Center. • Management of expenses to budget. 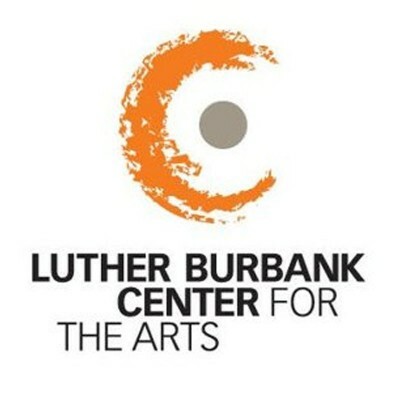 Luther Burbank Center for the Arts is committed to creating a diverse work environment and is proud to be an equal opportunity employer.